We sent our highest number of volunteers to Kerala this summer followed by several volunteers who headed over to Trivandrum in September for varying project lengths from 4 weeks to 3 months. 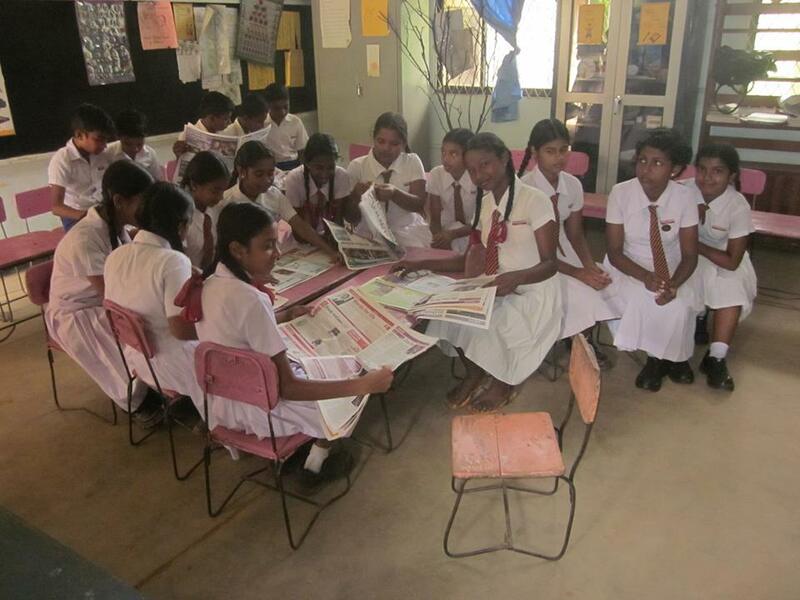 We ran our Student Leader programme for a second year in Kerala and this year it was led by Lucy Allcock who supported a team of six volunteers from Edge Hill University. 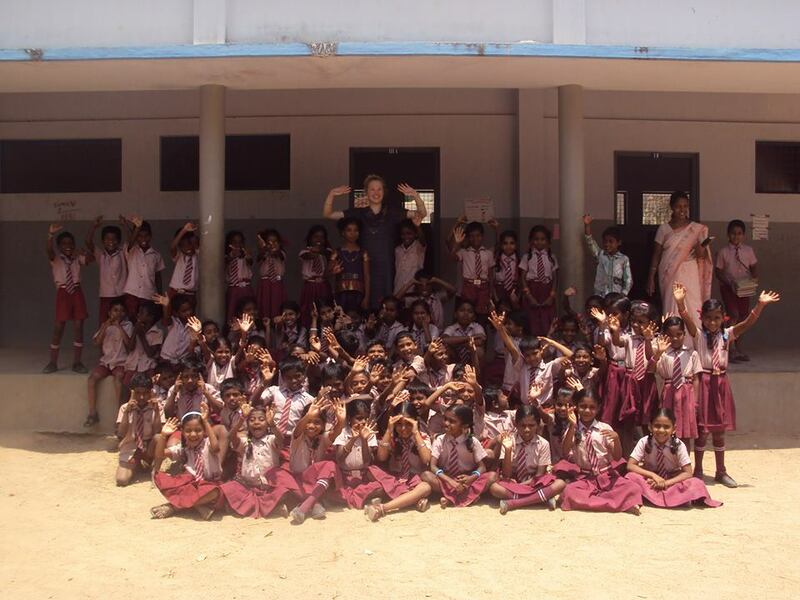 Lucy and her team along with our other volunteers, Alison, Jennifer, Becky and Ola, helped Johnson (our Country Manager) run a behaviour management programme at a new school in Tamil Nadu. Our partner NGO, VESS, is working closely with local communities to help reduce the use of corporal punishment in schools in the area and this was the start of a programme that is hoped will be implemented in other schools too. So a huge thank you to our volunteers who help inspire the teachers to use different methods of behaviour management in the classroom, VESS is continuing to work with the school to continue to support the teachers. VESS & VESL received great news just recently, when the Canning Trust confirmed a very generous donation of £2500 to help VESS implement their behaviour management programme in more schools. Keep an eye out for a blog post in the new year for more information about the programme that will begin next May. A massive thank you to Johnson and everyone at VESS who have helped to assist our volunteers in settling in and setting up projects overseas! Kath McGuire, who is a past VESL volunteer and co-ordinator, earlier on in this year spent time in India working with VESS. 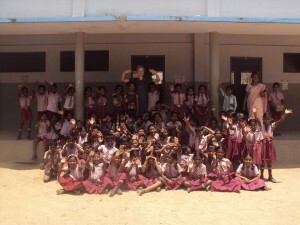 Kath will be heading out to India again this year to support VESS going forward as their Programme Manager. 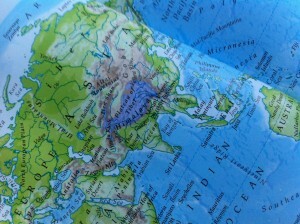 So our future volunteers heading out from May will get to meet Kath in India! We would like to say a huge thank you to Kath for her on going support of our volunteers in India and for her assistance in achieving the funding from the Canning Trust (Kath also gets a mention later in the Student Leader section)! 2013 saw another successful year of over 50 volunteers heading out to Thailand, we continued to work in both Chiang Rai and Phayao Provinces in nearly 30 schools. We sent several volunteers to some great new schools this year and hope that we will continue to send volunteers back there this coming year, following some great feedback from our volunteers! Our Programme Manager, Lauren, visited all the projects in Thailand this summer and saw first hand the great work our volunteers were involved in. A massive thank you to all those volunteers who gave up their weekends to help run English camps, especially Fia and Pippa who sang songs for six hours solid in one day! We received amazing feedback from the Teachers about the English Camps this year so thank you for all your hard work. This September saw some more longer term volunteers head out to Thailand, with varying project lengths from 3 months to one year! We have two more volunteers heading over in January as well. We hope that we will be able to send further groups of enthusiastic volunteers to Thailand in summer 2014! A huge thank you must go to Nueng (Country Manger) for his continuing support and his assistance in helping us obtain visa extensions after the rules for obtaining an extension in country changed earlier in the year. Mr Robert is fairing well.He has become a great help for us teachers and the students. Now the students are very enthusiastic to learn English…Thank you for sending us a hard working teacher. 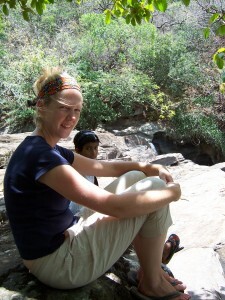 Priyanthi Herath, Teacher in Sri Lanka. We would like to say a huge thank you to Mrs Senanayake and Ian Wijewardena for their continuing support and assistance in obtaining visas for our volunteers. Ian Wijewardena has recently retired and we would like to take this opportunity to wish him happy retirement and a safe trip to Australia. We would like to say a huge thank you to all those volunteers who wrote blogs for us either about their fundraising before they left or about their time overseas (or both!). 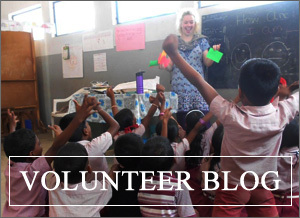 We have received some amazing blogs that will help to give future volunteers an insight into our projects, if you haven’t had a chance to read them make sure you catch up on them! If you haven’t written a blog but want the opportunity to do so, please get in contact – we would love to hear from you! We are continuing our Student Leader programme in 2014 (this will be the third year…how times flies! ), and have already recruited our dedicated team of Student Leaders for next year. If you want to catch up on this years team you can read the blog here. This year we are running our Student Leader programme at Keele University, Edge Hill University, Edinburgh University and Manchester Metropolitan University. We are looking forward to completing the recruitment of our teams of summer volunteers in the new year! We had some very dedicated Student Leaders this summer so a huge thank you must go to those that put in the time and effort to make a difference, they were able to provide invaluable support to some our volunteers and have helped us to develop the programme so that we can make some changes and improvements to the programme for next summer! A massive thank you to Kath who helped support our Student Leaders in both Thailand and India this summer, Kath helped provide extremely useful support to both our Student Leaders and volunteers – so thank you!! We would love to hear from you if you would like to help us raise funds for VESL! Have you checked out the ‘Support Us‘ page for inspiration on how you could help? We are hoping to raise much needed funds for our Wild Development Fund to ensure future volunteers are able to utilise it. If you are interested in getting involved or if you have any other great ideas we would LOVE to hear from you – just e-mail lauren.pluss@vesl.org. Our Programme Manager, Lauren, along with past VESL volunteer Eve Hadshar and their friends, ran the Major Series in March and raised over £1000 for us – a massive thank you to everyone that was involved in the run! 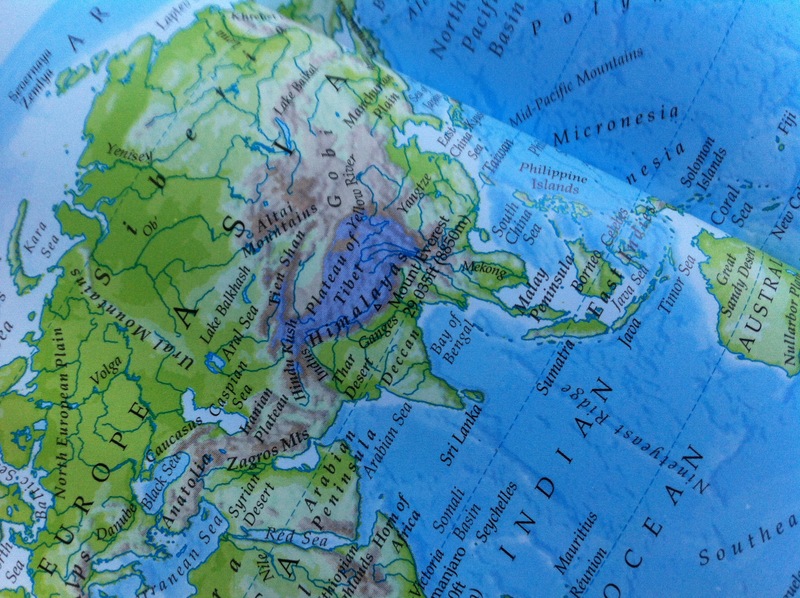 We are looking to expand to a new country in 2014! With an ever increasing number of volunteers we are looking to start projects in a new country next year. If you have any suggestions of a country that you think VESL should begin working in then please get in touch! Even better… if you have any contacts in a country where you think we should work, we would love to hear from you! We would like to welcome Tom Harrison, former VESL Programme Director, onto the board of Trustees… We are excited to have Tom back with us and we’re sure he’ll be a fantastic asset to the charity! Tom was one of the founding members of VESL back in 2003 and was the principal driving force behind the organisation until 2012. Tom is currently the Deputy Director of Development at the Jubilee Centre for Character and Values at Birmingham University and is also working towards a PHD. We would also like to thank Clara Hebblethwaite who retired from the board of Trustees in November after many years of service to VESL. Clara was originally a volunteer with VESL in 2004 in a small school in Luggala near the Knuckles Mountain range in Sri Lanka. Clara went on to gain a TEFL and now runs her own TEFL training and translation company. We all wish her the very best of luck into the future and she will be sorely missed. 2013 was a very busy year for VESL and it looks like 2014 is set to be the same! We will be visiting different cities and universities across the UK in the New Year – so if you’re interested in helping out then please send us an an e-mail! If this update made you want to head back overseas… Did you know that past volunteers can become repeat volunteers and get a 20% reduction on our fundraising targets! Just send us an e-mail if you’re interested in heading overseas with us again in 2014! There are too many people to thank individually in the last year but we would like to say a huge thank you to everyone who has supported us in the including to those who have helped us out at our Information events and at training events. VESL would be nothing without you all and everyone’s continued commitment to the charity is very much appreciated – thanks everyone!